Milton Roy® offers a complete line of metering pumps that include hydraulically-actuated, mechanically-actuated, and pneumatically-actuated diaphragm and packed plunger metering pumps. 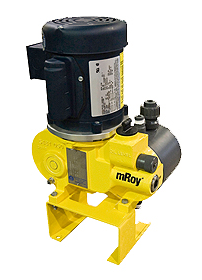 Milton Roy pumps are available for flow rates from 0.0081 GPH to 2657 GPH, and pressures to 10,000+ PSIG. 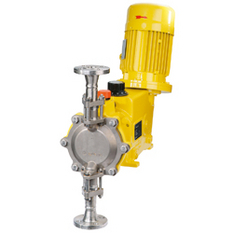 Pumps are available in cast iron, stainless steel, PVC, Kynar™ (PVDF), and various alloys. Multiplex arrangements are also available. 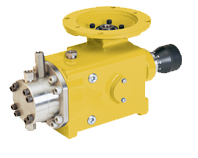 Milton Roy pumps are suited for a wide range of industrial, process, commercial, and OEM applications. 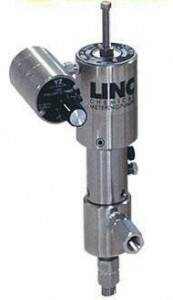 Applications include chemical injection, boiler treatment, water treatment, additive metering, and odorant injection. Pump Supply Incorporated is a leading distributor of Milton Roy metering pumps. Pump Supply maintains a large inventory of Milton Roy pumps and parts, and has a full service and repair shop capable of repairing, modifying, and testing a range of metering pumps from any vendor. Call Pump Supply Incorporated today to see how Pump Supply can help with your metering application.